Greetings from Hilton Head Island! I hope you and your family enjoyed your Fourth of July and the short work week many of us had last week! If the recent holiday left you wanting to spend even more time enjoying recreational activities with your family and loved ones, then you’ll likely find today’s Hilton Head real estate blog helpful! Below, I’m going to tell you about some community events coming up over the next couple of weeks that are sure to be fun for the entire family! Jazz Corner Performance: Come enjoy a top-notch musical performance at the Jazz Corner this month. On alternating Wednesdays, this Hilton Head business will present The Bobby Ryder Quartet, Blues & Sinatra and The Earl Williams Quartet. Dining starts at 6 p.m. and the live entertainment starts at 8 p.m.
Fort Fremont Tour: Come learn what homeland security looked like back in 1898 by checking out the Fort Fremont exhibit at the Verdier House in Beaufort, SC. During the tour, you’ll learn about how the area defended its coast during the Spanish-American War as well as during other critical points in history. Buckwalter Place Farmers Market: Interested in supporting local farmers? The ncome visit the Buckwalter Place Farmers Market, which provides fresh local produce from Lowcountry farmers! 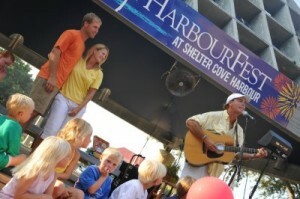 Harbourfest: Popular among locals and tourists, this longstanding tradition in Hilton Head features live music, fireworks, children’s activities and more! When: 8 a.m., now through September 1. I hope you are able to attend at least one of these Hilton Head Island events. If you do, let me know how you and your family liked it! And if you’re thinking about listing your Hilton Head Island home on the market anytime soon, be sure to contact me, David Pautler, your Beaufort County real estate expert!